Being one of the biggest manufacturers of gaming equipment, HyperX is well-known for making one of the best gaming headphones with mic. 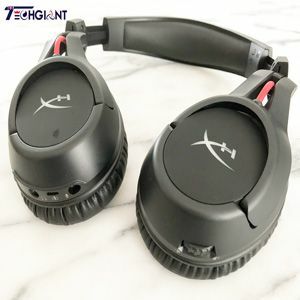 With great experience in this area, HyperX delivers this top-notch product with great care and quality that guarantees a ton of satisfied users. 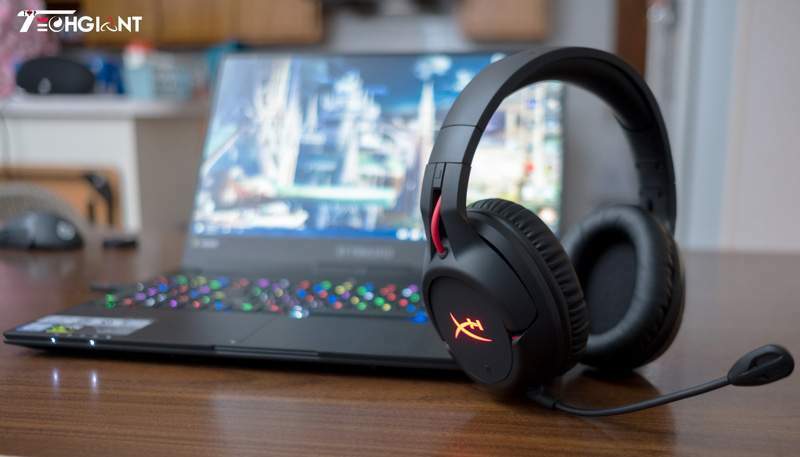 In this short review, we will be presenting pros, cons, and features of one of the top items in gaming headphones – the HyperX HX-HSCF-BK/AM. First of all, we are talking about a great quality product that will boost the level of your enjoyment and gameplay by diving you into the world of gaming that you never felt before. You will be able to hear the sounds that most of your enemies won’t. In other words, you are given the advantage while playing that can really make a difference. Basically, this one is “must have” if you are considering about going on a professional stage. Moreover, HyperX HX-HSCF-BK/AM is a high-quality gaming headset with wireless. Therefore, you won’t have those cables hanging around and bothering you while playing. Nevertheless, you will get a headset with extremely long-lasting battery. This way, you will experience a new level of gaming, by breaking free from the bonds that cable connections sometimes make. As we mentioned, the life of a battery is more than enough to play the video games uninterrupted. It can last over 30 hours consistently. Now, the mode that you put this headset into will define the lasting of your battery. Therefore, there are 3 modes- LED mode off will offer aforementioned 30 hours of consistent playing. LED mode with breathing effect will provide 18 hours of battery life, while LED mode on will last up to 13 hours of continuous usage. When it comes to comfort, this gaming headset offers standard HyperX signature for comfort. There will be no neck pain that most of the headsets cause. This one is pretty comfy and lightweight, so once put on your head, you will forget about their presence nevertheless. Do you want to do a marathon gaming session? Not a problem. Even after hours and hours of playing, the comfort of wearing this headset won’t disappear. 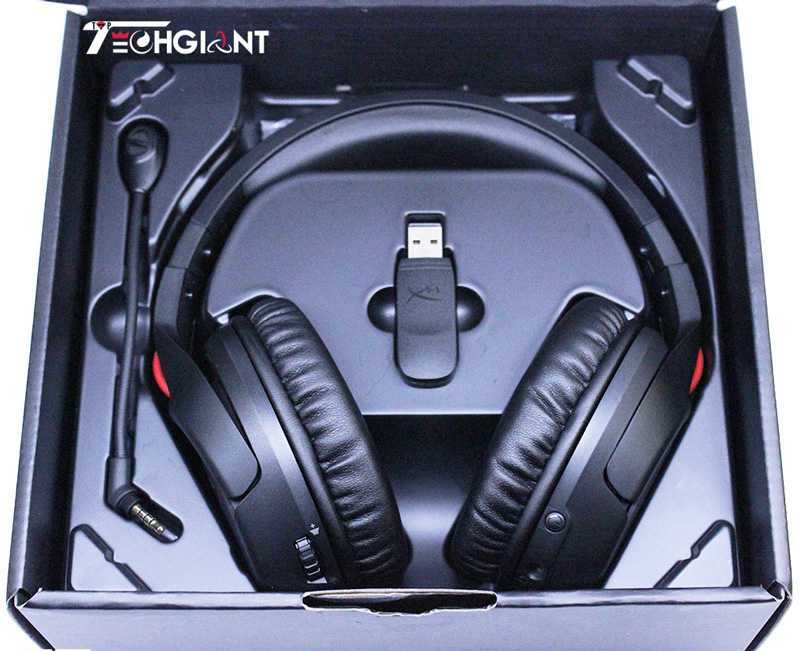 As we mentioned earlier, this headset is wireless and you will be able to position yourself as you wish without any struggles of reaching that cable range. Moreover, you will have adjustable steel slider. That means that you will be able to position the headset as you prefer. Made of steel, you will have no problem like breaking this part as you can have it with a plastic one. The durability is practically guaranteed. It’s true, you need to invest a bit more money for this headset, but the value that you get is one of the best out there. Anyhow, you can attach this headset to any device that has Bluetooth. For the best performance, we recommend PC, PS4, and PS4 pro. However, you will be able to easily access the controls for LED light, volume, mic mute, and power on the air cups. Diving into gaming world was never easier. With these easy controls, you will be able to navigate through the best performance that one headset can offer. Furthermore, there are rotating ear cups that can go up to 90°. They offer LED lighting effects which look pretty cool and stylish. You will be able to easily rotate them and adjust those lights in order achieve the maximum comfort while playing your favorite game. Now, made with an advanced technology, you will have a microphone that has detachable noise-cancellation. That means that you will be able to easily plug in order to communicate with your teammates or detach it to listen to your favorite music. However, while communicating, this microphone will prevent background noises and help your teammates understand you without struggling to hear your voice. As in every team game, the communication is a key to winning, therefore, having a great quality mic can really make a difference. The last but not the least is the sound quality. Once you put this headset on your head, you will have a feeling that you are in person in your own game. It will make the virtual world sound like real one. Simply speaking, the sound quality that this headset offers is top-notch. It is something that you should definitely invest it. However, the only downfall of this headset might be the price. They belong to an expensive price point category. That means that you will need to invest a bit more money. Anyway, it is definitely worth, as you will be able to hear the finest sound that can come out from one game. Certainly, you will be gifted with a sound that most of the players don’t hear clearly- gunshots, footsteps, using ultimates, and many more. The second thing that might not even be the con is that this headset is not that loud. It will prevent any hearing damage that some other headset can provoke. Simply speaking, the headset is louder than standard headset but not as loud as something that can damage your hearing and health. However, HyperX is like “must have” among professional players, streamers, or those that really want to boost their level of gameplay. All in all, we hope that this review made your choice a bit easier.